Epiretinal Membrane: What Are My Treatment Options? Jan 13, 2017 @ 02:00 PM — by Retina Associates, P.A. Retinal conditions can be complicated matters. The tissue at the back of the eye that's crucial for vision is also very delicate, and it's vulnerable to a number of serious problems. 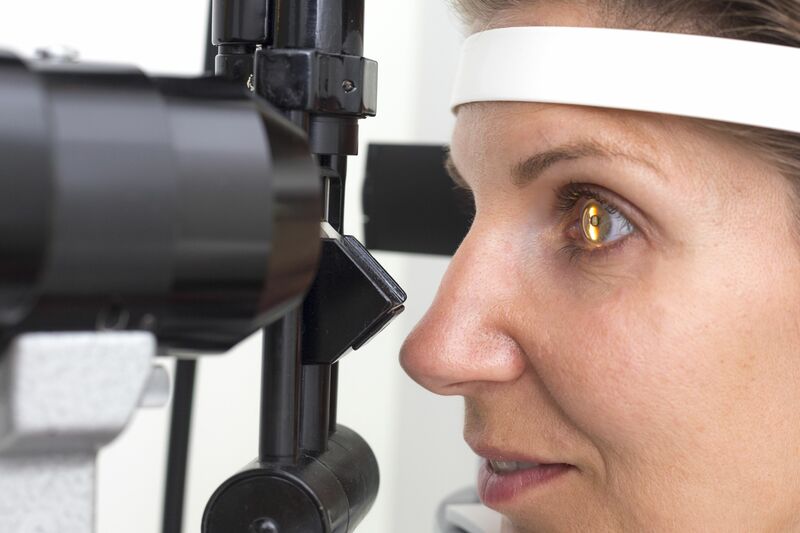 Thankfully the team at our Shawnee Mission retinal care center offers numerous treatments for retinal conditions, with all procedures designed to prevent vision loss and improve the quality of a patient's eyesight. Epiretinal membrane is a common issue that many people experience later in life. Let's go over the basics and determine whether or not treatment may be necessary. First things first, the macula refers to an ovular area located near the center of the retina. It's the macula that's responsible for the shar central vision we need for reading, driving, and seeing fine details. Epiretinal membrane refers to scar tissue that forms on the macula. It can lead blurry and distorted central vision in many cases. Epiretinal membrane is also known as macular pucker, preretinal membrane, retina wrinkle, and premacular fibrosis. The most common cause of epiretinal membrane has to do with the vitreous gel within the eye. As people age, the vitreous can shrink, and in the process of shrinking the vitreous may tug at the retina. When this happens, tears or detachment may occur. Even if there is no tear in the retina, microscopic damage may be present. The retina tries to heal itself by forming scar tissue, which contracts with time and leads to a wrinkle of the retina. While the wrinkle may prove harmless, it can potentially affect the central vision and lead to blurriness or distortion. Do I Need to Undergo Treatments for Epiretinal Membrane? Many people who experience epiretinal membrane can continue with their daily lives. Even though their vision is impacted in minor ways, they simply adjust to their vision issues as needed. When a person's vision is serious impaired by epiretinal membrane, that is when treatment is necessary. It's important that you meet with a retinal specialist if you should notice any of the above symptoms of the condition. If a person's vision deteriorates to a point that regular daily life is difficult, the best option for treatment is a vitrectomy. During a vitrectomy, the vitreous gel within the eye is removed and replaced with a saline solution. This prevents pulling or tugging on the retina and subsequent formation of scar tissue. The procedure is very delicate and can improve a patient's vision to some degree. It's important to note, however, that a patient may still experience some degree of vision impairment after treatment. This will still be better than their vision prior to the vitrectomy, though their vision will not go back to normal (i.e., the way it was before the macular pucker). For more information about vision problems and various conditions that may affect your retinas, be sure to contact our team of retinal health specialists today. We will work with you to determine and ideal solution for your eye care issues.